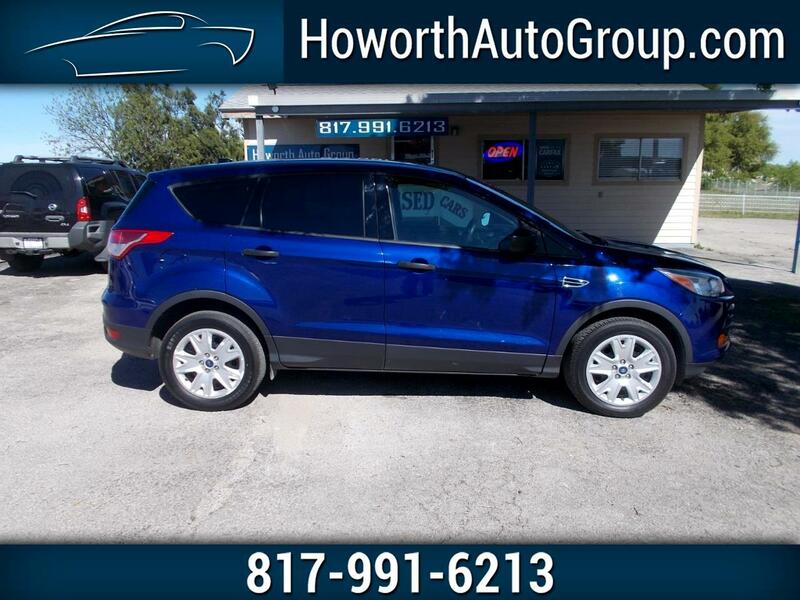 2013 FORD ESCAPE S with 121,248 miles. THESE NEW BODY FORD ESCAPES ARE WELL-BUILT AND A BLAST TO DRIVE AROUND TOWN!!!!! This FORD ESCAPE is equipped with a powerful 4 cylinder engine that runs very well, cold a/c, warm heat, power steering, power brakes, power windows, power locks, power mirrors, gray cloth interior, AM/FM radio, GOOD tires and much more. THIS FORD ESCAPE WORKS VERY WELL. CALL QUICK BEFORE IT IS GONE!!!!! Call Amy Howorth at 817-991-6213 or go online at howorthautogroup.com to apply online today. Cash discounts available for an all CASH Buyer!!! Dealership Number: (817) 991-6213 (Text us!) Selection of warranties available upon request. You agree to pay this Contract according to the payment schedule and late charge provisions shown in the TRUTH IN LENDING DISCLOSURES. You also agree to pay any additional amounts according to the terms and conditions of this Contract.